A hiking trip should be a memorable, pleasant experience and if you follow these hiking tips, you’ll have an enjoyable visit with nature. There is a motto among hikers that should be repeated every time a hiker’s first foot hits the trail. “Leave only footprints and take only pictures”. If all hikers abided by that hiking tip, there wouldn’t be any need for clean-up crews, voluntary trash pick-up weekends, and reminders of the impact of hikers in the wilderness. Hikers can sometimes get caught up in their surroundings and forget some of the basic rules of being out in nature. 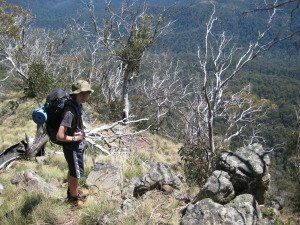 Here are some tips for hiking to help you have a great time. It might be 85 degrees when you start out at 9 a.m., but if you are doing mountain hiking or any high altitude hiking, the temperature at your 3 p.m. destination may be 50 degrees and those hiking shorts and tank top aren’t quite enough any more. Always bring a light jacket; nylon ones weigh almost nothing and take up almost no room. The ones with a hood are the best. And always wear a hat. Even if you are hiking for just an hour or two, you never know what lies ahead of you. That’s part of the fun of hiking! A storm may pop up, you may get lost, or you may decide to hike farther than originally planned. Trail mix is the perfect name for what you need to take along on a hike. Don’t bother with the high-priced, in-crowd trail mixes, fix what you like and what you need. Cashews, raisins, plain and peanut M & M’s (they don’t melt like other chocolates) make the best trail mix. If you're planning on a longer hike, overnight or for a few days then here are some ideas for food for hiking. A rule of thumb is 8 oz. (approx. 250ml) for every hour you plan to be gone. If you bring an even number of bottles and strategically place them in your backpack or hang them on your clothes, you wont even notice the extra weight. Remember this hiking tip, it could save your life. It is the small things that will insure a safe and fun hike. A compass and a map are at the top of the list. If you are going into an area that is infrequently used then a GPS, PLB (personal locator beacons) or EPIRB (emergency position-indicating radio beacons) are a good idea, you may not even use them but if you have to they could save your life. A cell phone is a necessity, but you can’t always get a signal. The best thing to do is make sure someone other than your hiking party knows what your plan is, when you are leaving, where you are hiking, and when you expect to get back. Bring a first aid kit with emergency items. Some first aid lotion, a few band-aids, and a small bottle of alcohol. You might think that you don't want to bother carrying the extra weight. But if you do leave the camera behind, you are sure to wish you had brought it later! Another hiking tip for your camera: digital is the best. Otherwise, you’ll have to carry around a hundred rolls of film because you’ll want to take a picture of every little flower, every rock formation, every tree, every animal, and of course, your fellow campers in their most unflattering positions as they negotiate a craggy area or trip on a loose branch on the trail. It’s sometimes very tempting to want to wander away from the crowd and enjoy nature in solitude. Something off in the distance can sometimes lure us away from our fellow hikers and before you know it, you’re alone and you’re lost. This can happen if you awaken earlier than everyone and want to take a morning walk or after everyone has gone to sleep for the night and you’re just not ready to go to bed yet. It can even happen in the middle of the day during a hike. Keep this hiking tip in mind, and always have another person with you when you head out. There are more reasons than one to not want to be alone. An accident could happen unexpectedly with no way to get help or tell anyone exactly where you are located. And, sad as it may seem, the woods aren't exactly a safe place to be alone should you meet a stranger will ill intentions, as recent news stories testify. When I first started hiking the weight of my pack wasn't a priority but after you've walked 10 miles you soon start wishing you had a lighter tent, light sleeping bag, etc. If you've fallen in love with hiking, then spend a bit more and purchase good quality, light weight hiking / backpacking gear, it will make your trips all the more enjoyable. Tell someone where you are hiking. Here's an important hiking tip that every hiker should follow. Leave a map with someone else of your planned route. Then stick to that plan, so if something happens to you, at least you'll know that help can find you! Some hikers even leave a map of their planned hike in the car, as a safeguard for searchers. Be aware of your surroundings, both on the ground and in the sky. Remember these tips for hiking to have a fun and save hike. We all can learn from each other and we all have hiking experiences to tell. What is your hiking tip?